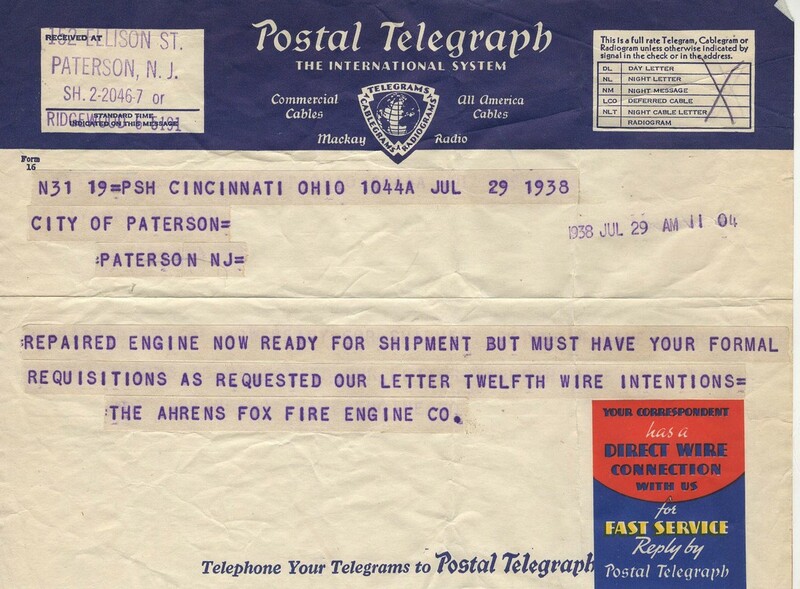 Fred E. Benson, a Paterson resident became Ahren's Fox's New York sales territory on April 1, 1929, and lobbied Paterson to be his first major customer ordering multiple rigs. 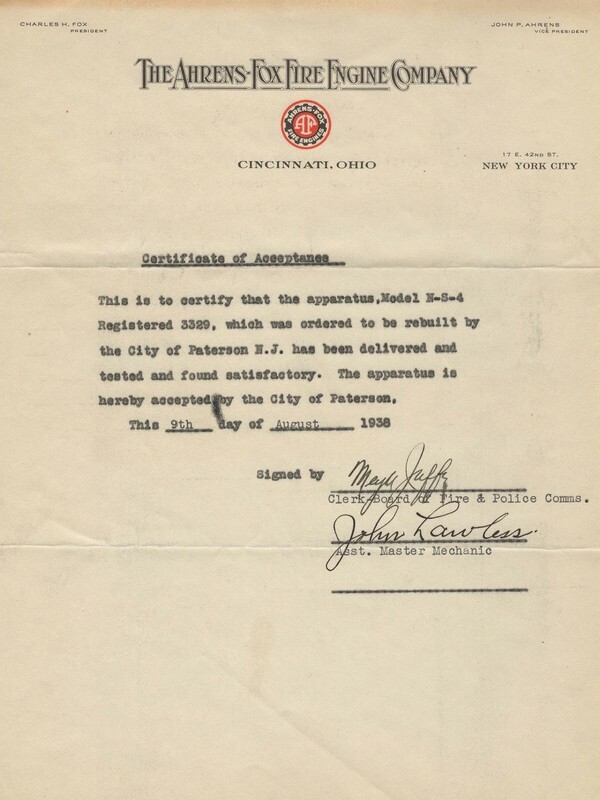 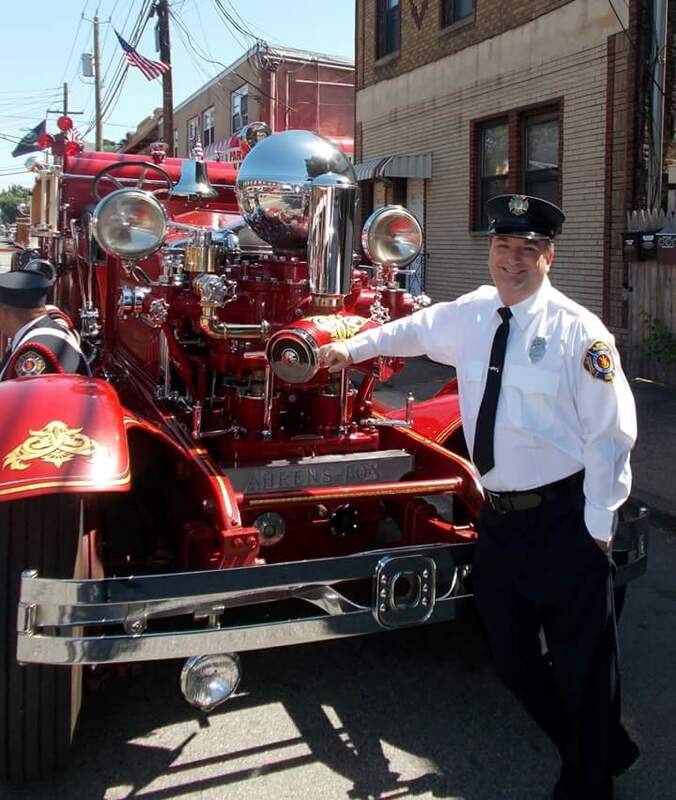 ​On September 4, 1929 the deal for seven 1000 GPM piston pumpers at $13,500 each and an 85' aerials at $16,750, became a formal contract signed by Charles Fox and Paterson officials. 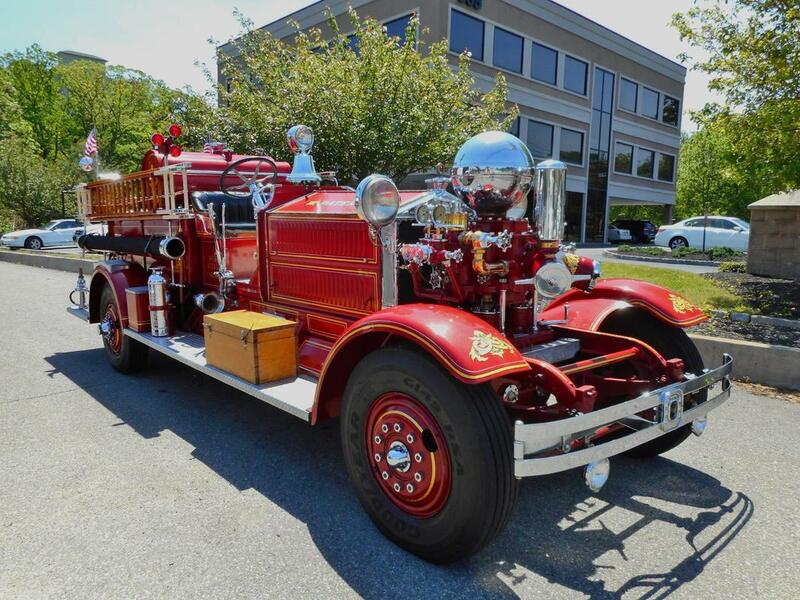 ​Ultimately PFD received an 85' aerial for Truck Company 2 (register 2046) and 1000 GPM pumpers for Engine Companies 2 (3377), 1 (2312), 7 (3389), 9 (3390) and 10 (3401). 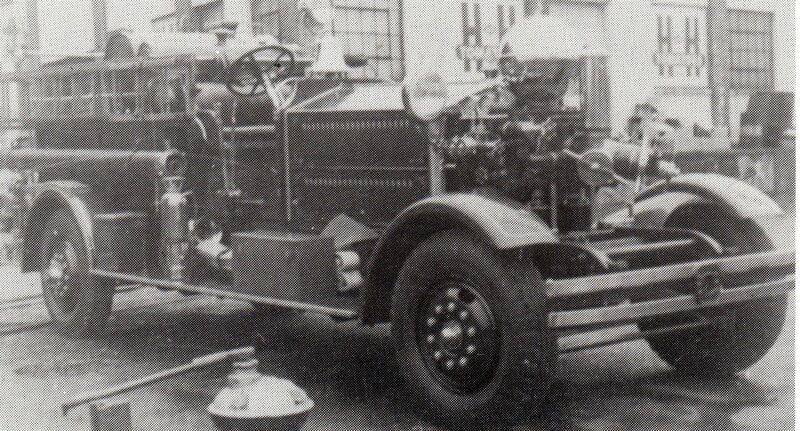 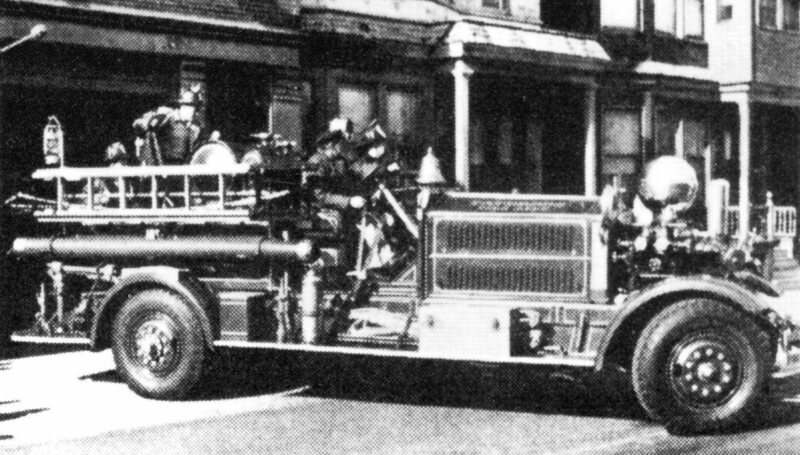 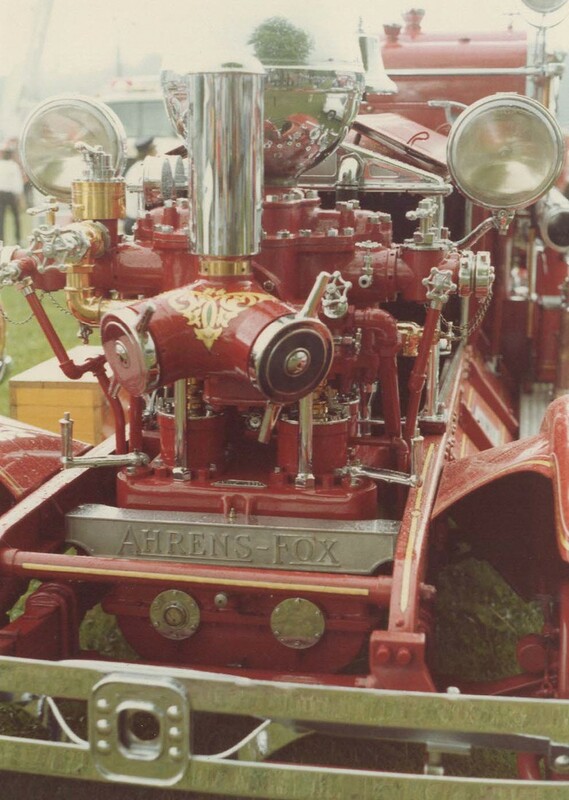 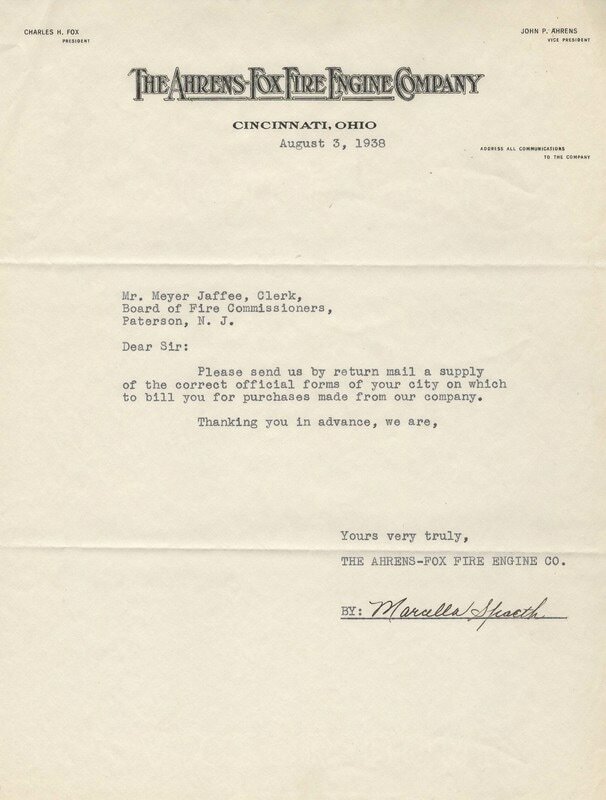 ​Ahrens Fox Register # 3390, an N-S-4, with motor #2958 was also shipped from Cincinnati on October 30, 1930 and then placed in service November 11, 1930 at Engine Company 9 quartered at 586 Main Street. 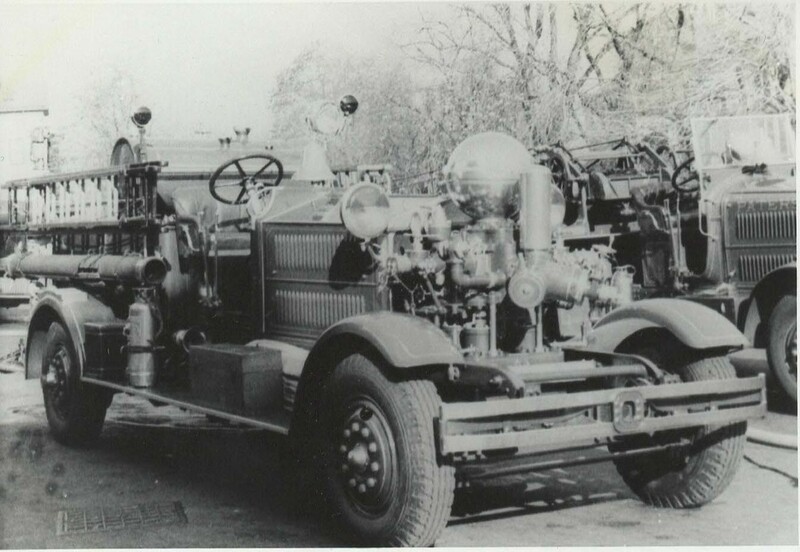 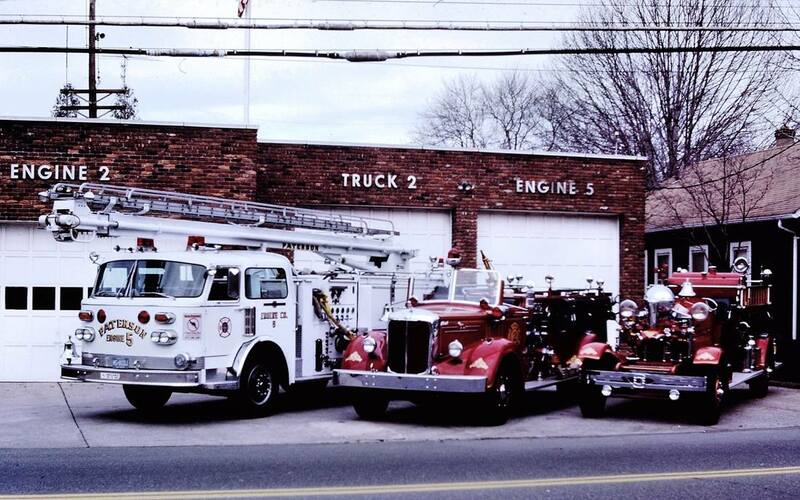 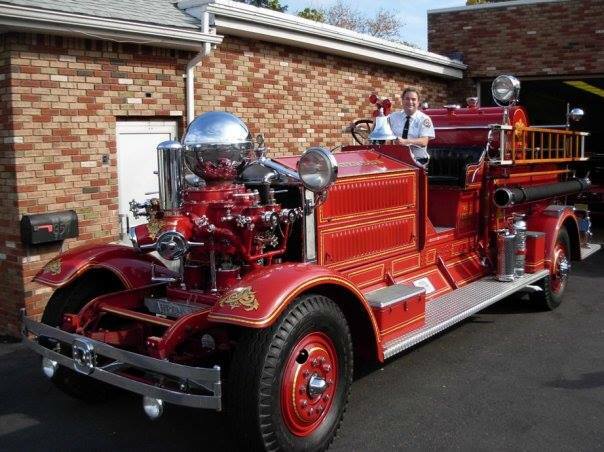 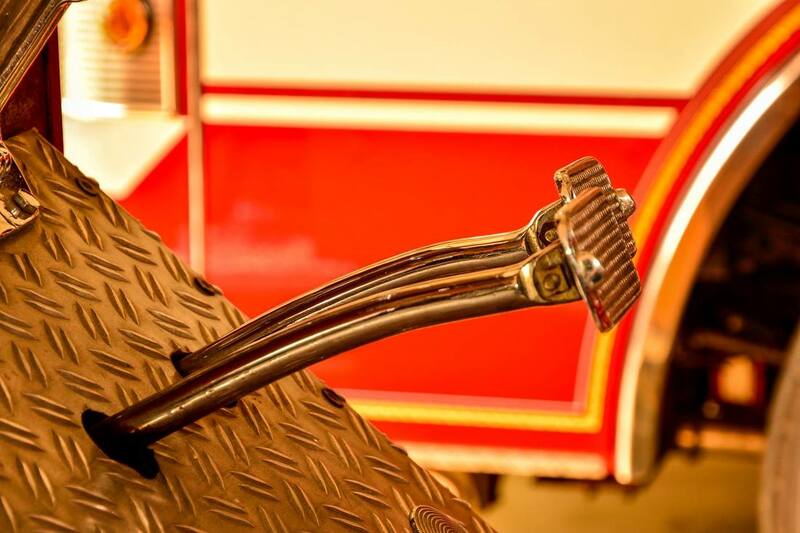 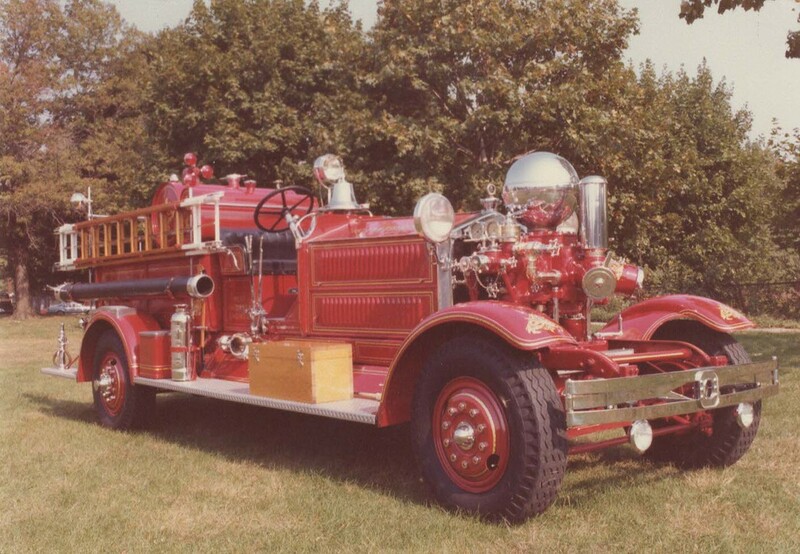 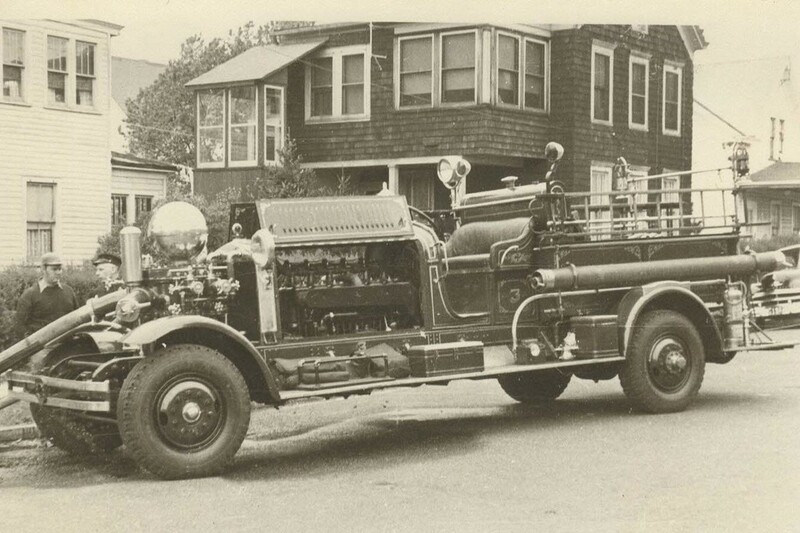 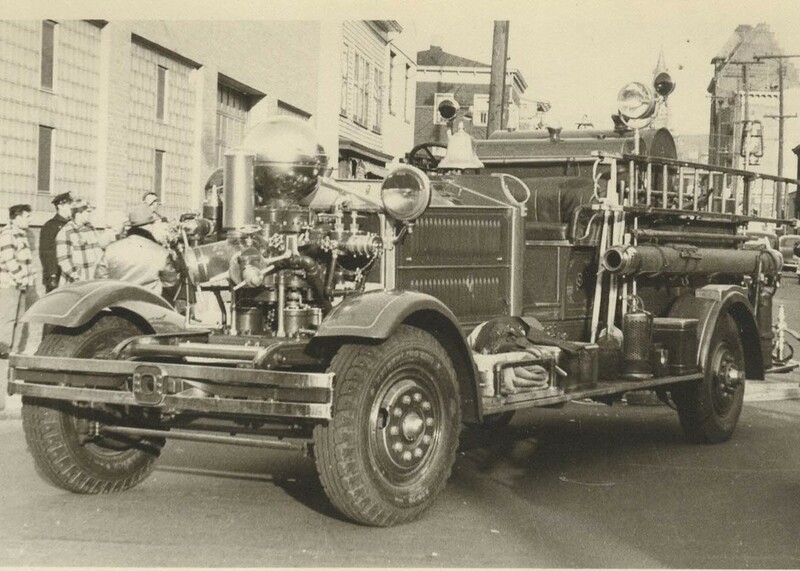 ​Both Fox #3389 (Engine 7) and #3390 (Engine 9) had gable hoods, Budd wheels, square-cornered stamped front fenders, Ryan headlights, dual bumpers, six-cylinder motors (5-1/2" x 7"), four cylinder pumps (4-1/4" and 4-3/4 x 6"), and suction reducers on the left side. 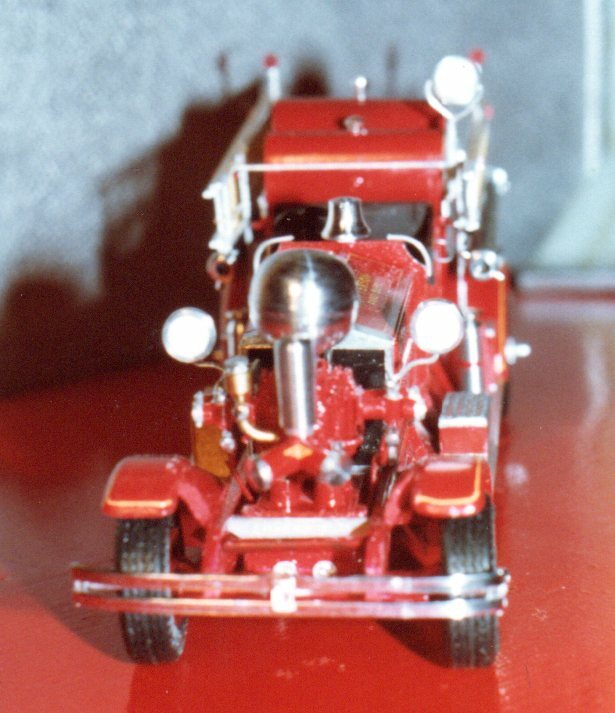 The only way to tell them apart visually is that #3390 had two red warning lights (see photo below) in the front corners of the hosebed begind booster tank while #3389 did not. 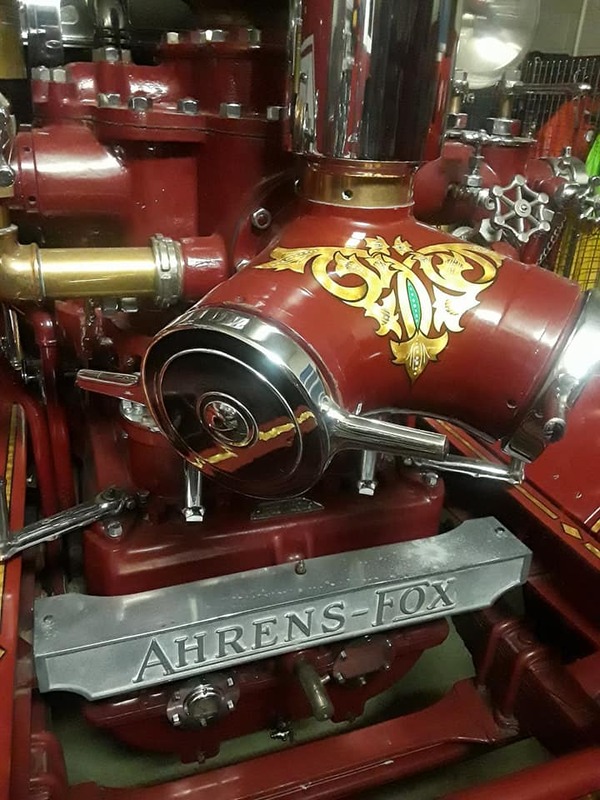 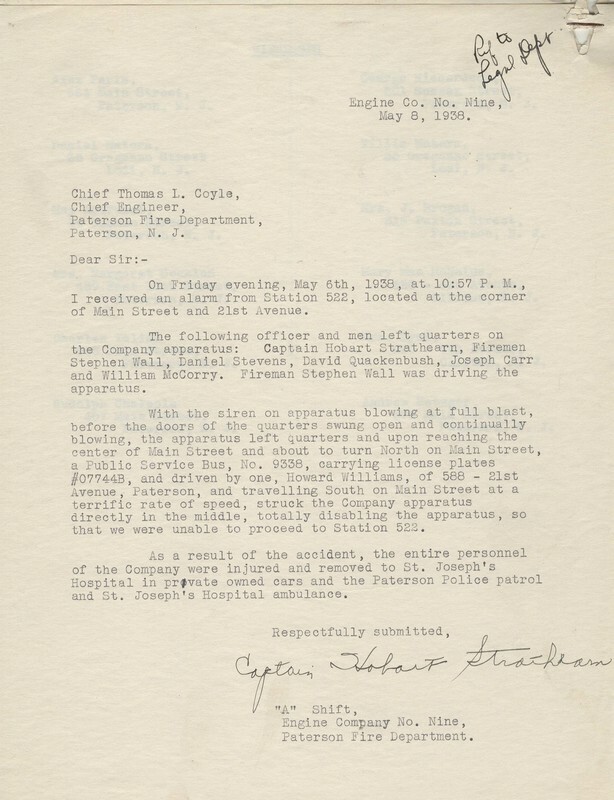 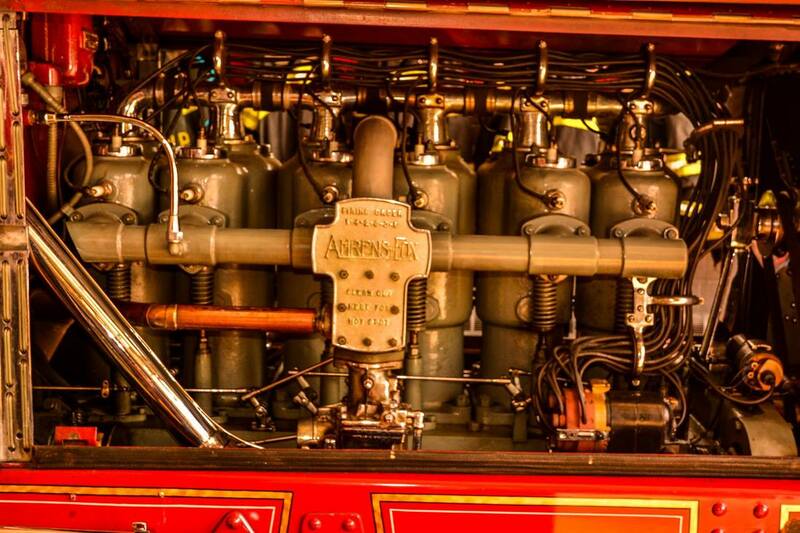 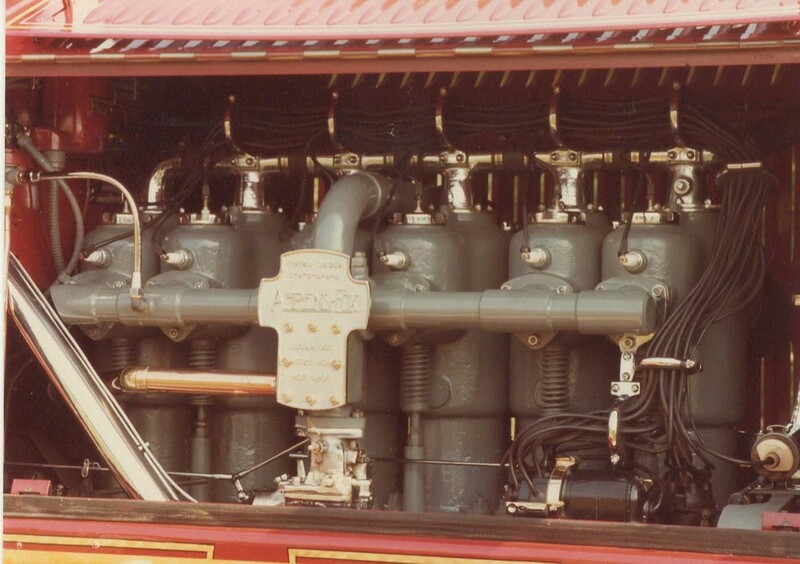 ​On May 5, 1938, Engine 9's Fox (#3390) had the dubious distinction of being in the first major accident involving an Ahrens Fox pumper. 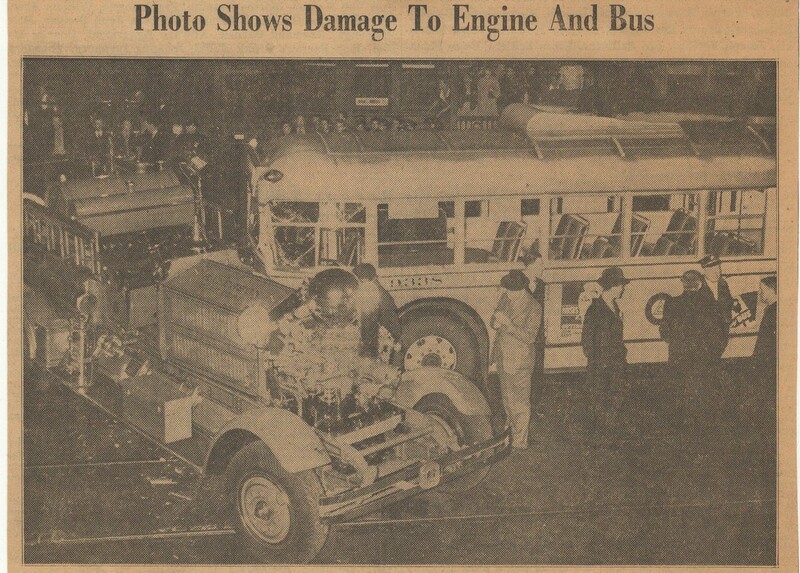 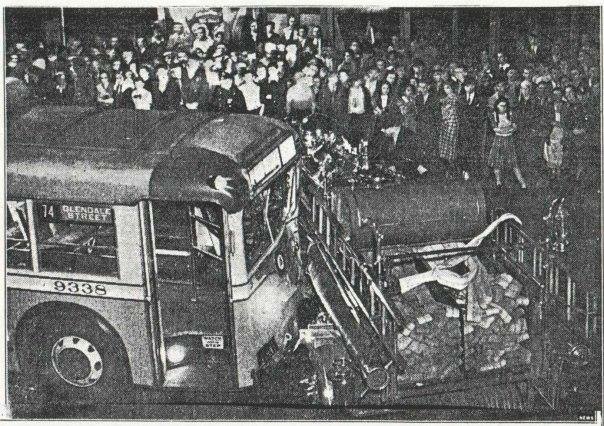 It was responding to an alarm and just after exiting quarters (20 feet outside the door) collided with a trolley coming up Main Street (moving north to south) smashed right into the Captain's side of the engine, knocking all of the men off. 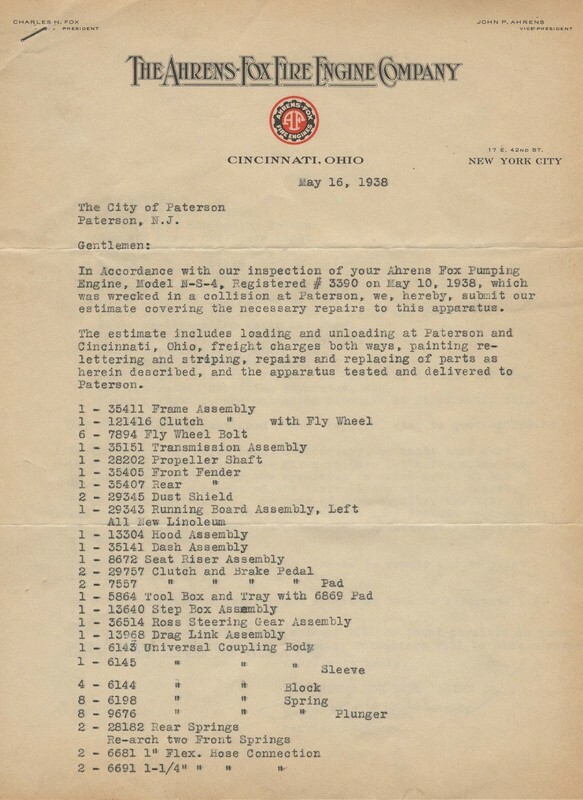 The apparatus, including the frame, was badly damaged and had to be shipped back to Cincinnati for repairs. 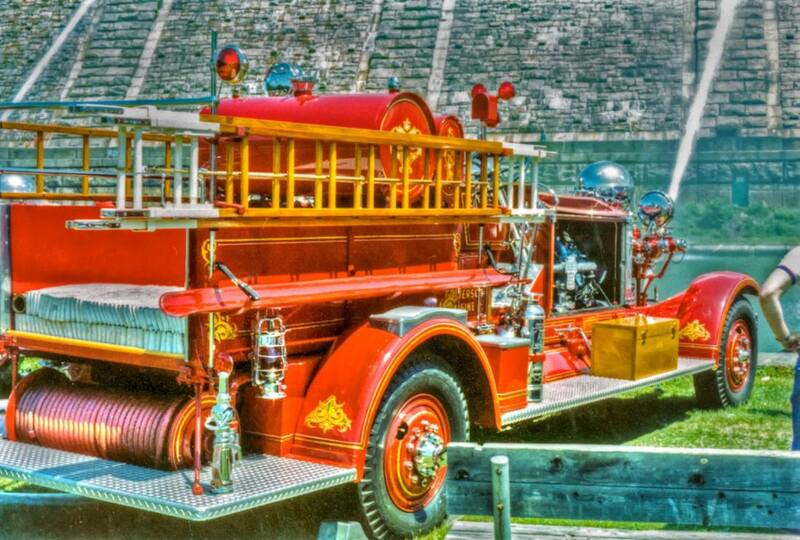 It returned to service on August 8, 1930. 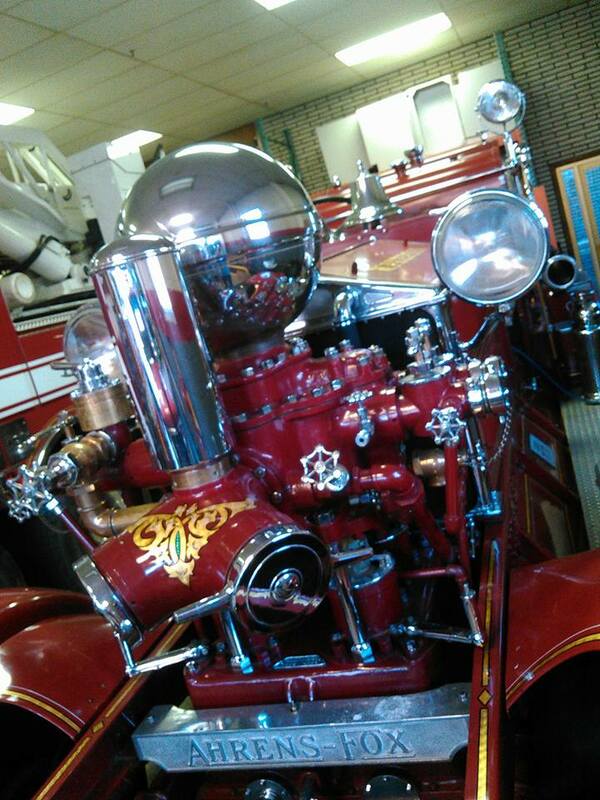 At the time the odometer showed only 1200 miles. 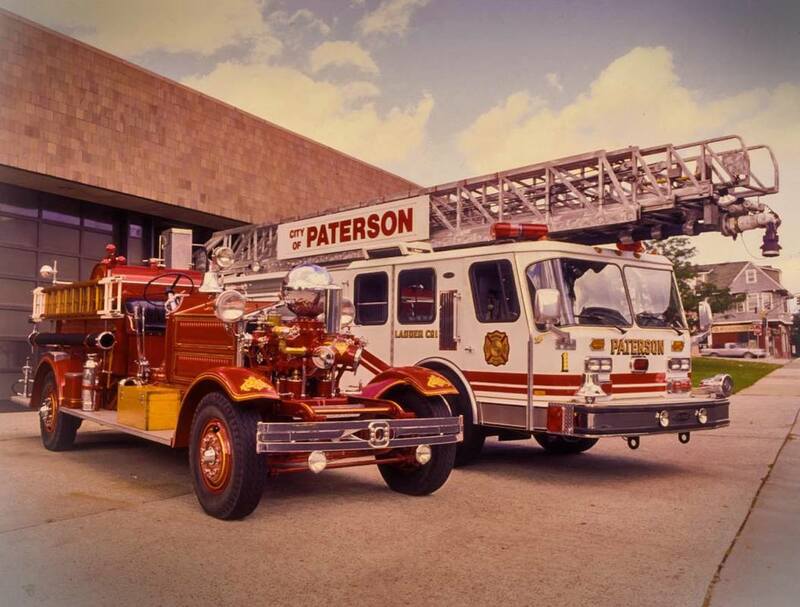 ​Paterson NJ Morning Call reported: Twenty three persons including six firemen of Engine Company 9, operating out of the 586 Main Street firehouse, were injured shortly before 11 O’clock last night when a Paterson – Passaic bus owned by the Public Service Transportation Company crashed into the side of the apparatus of Engine Co. 9 in front of the fire company’s quarters on Main Street near Van Winkle. 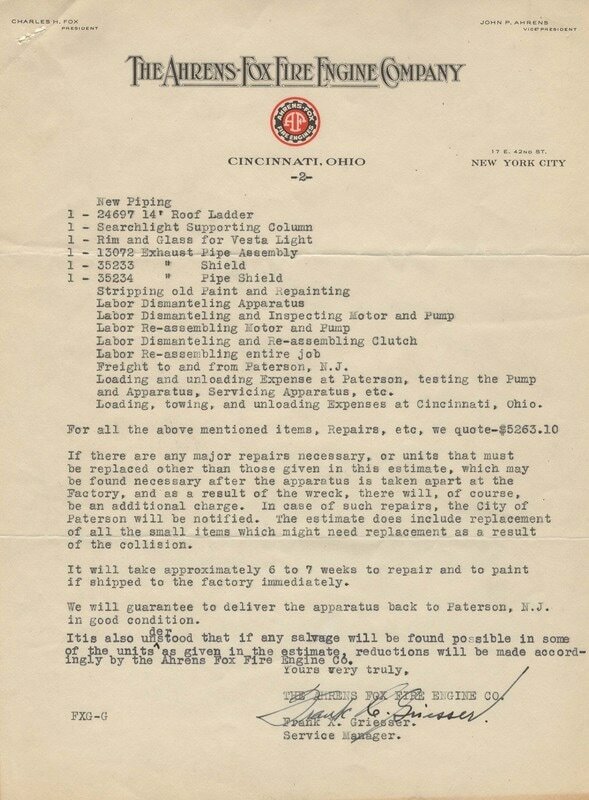 ​A new clutch was installed on April 11, 1949. 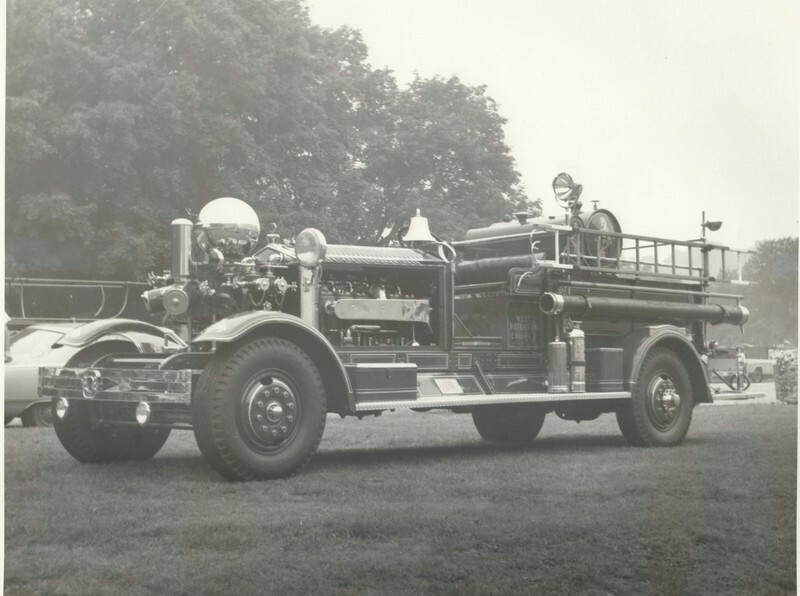 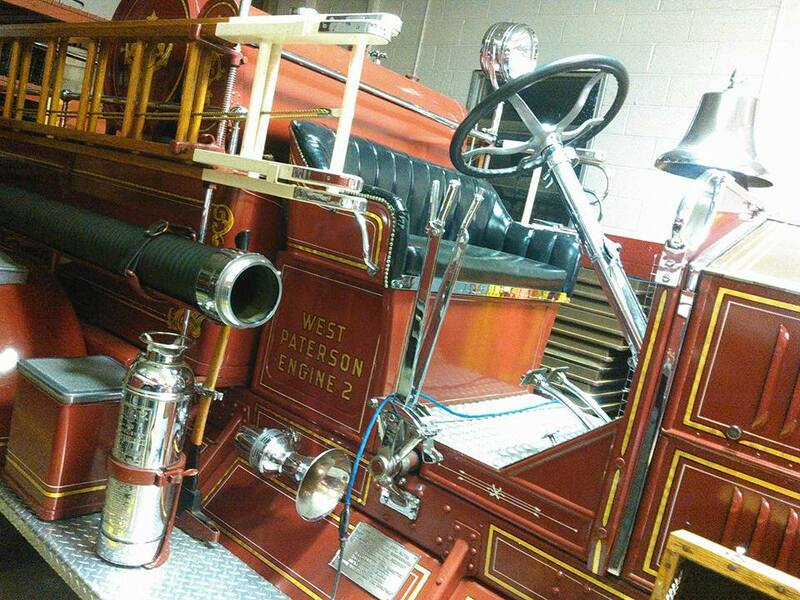 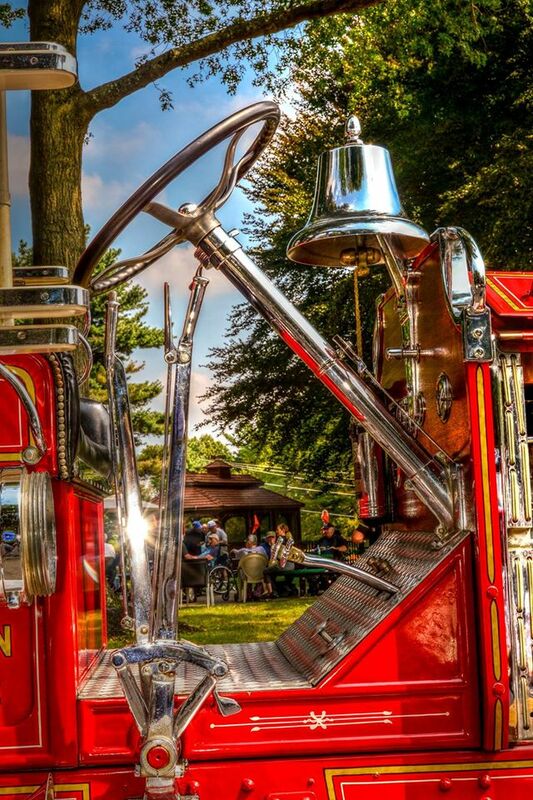 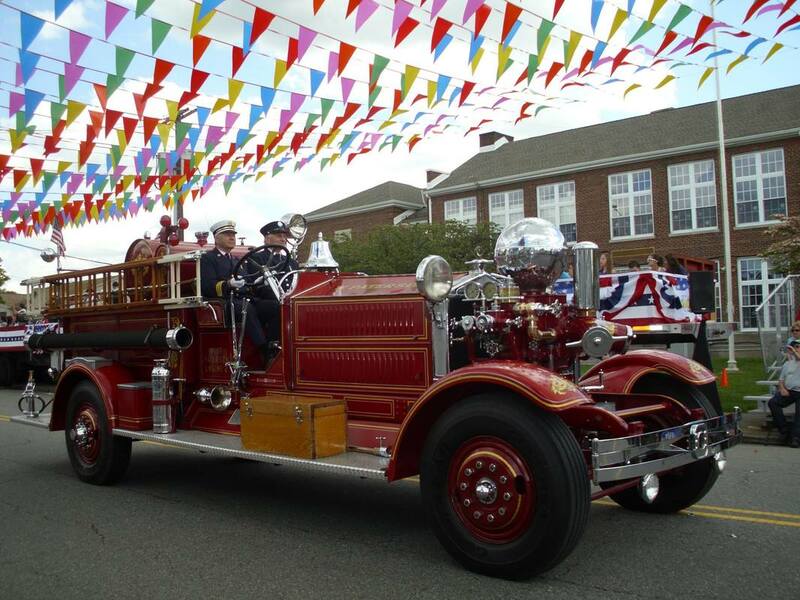 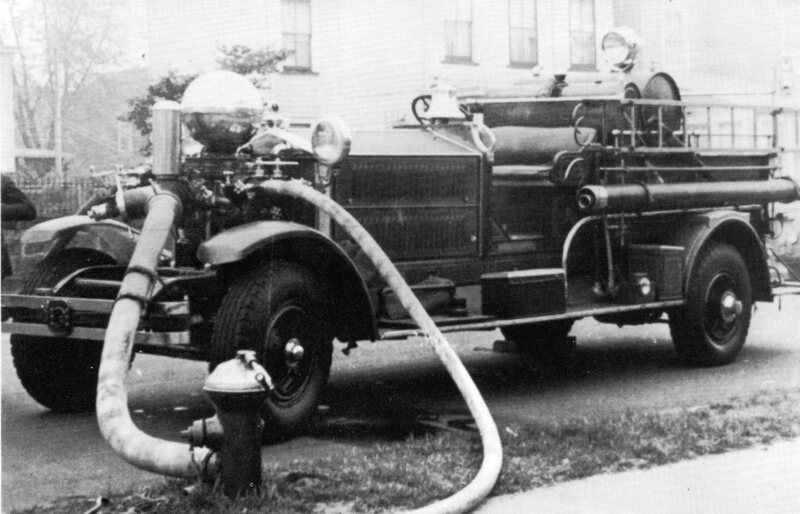 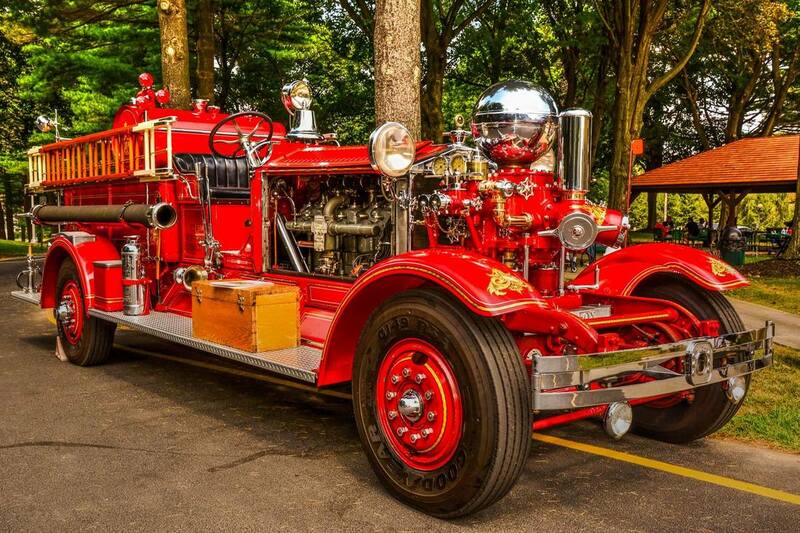 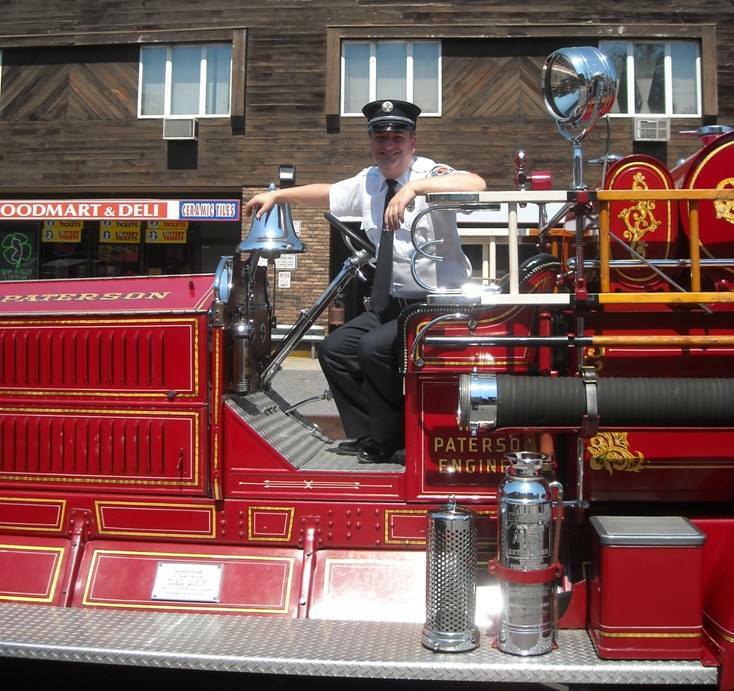 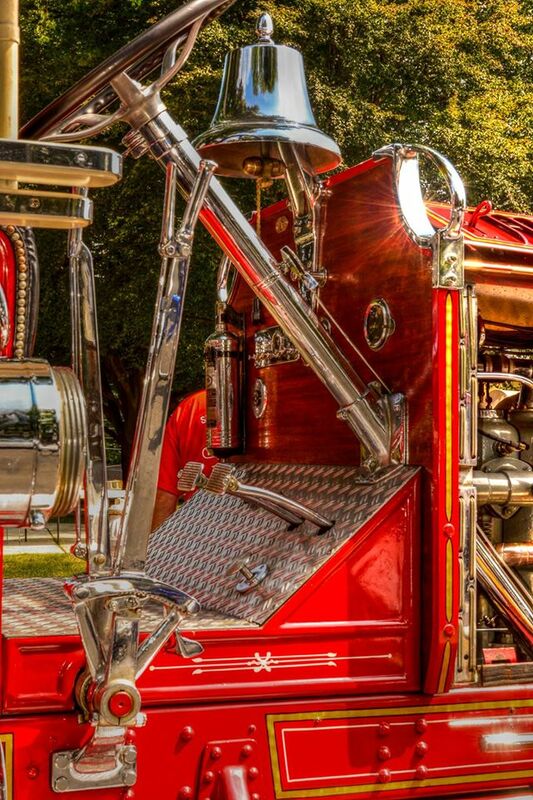 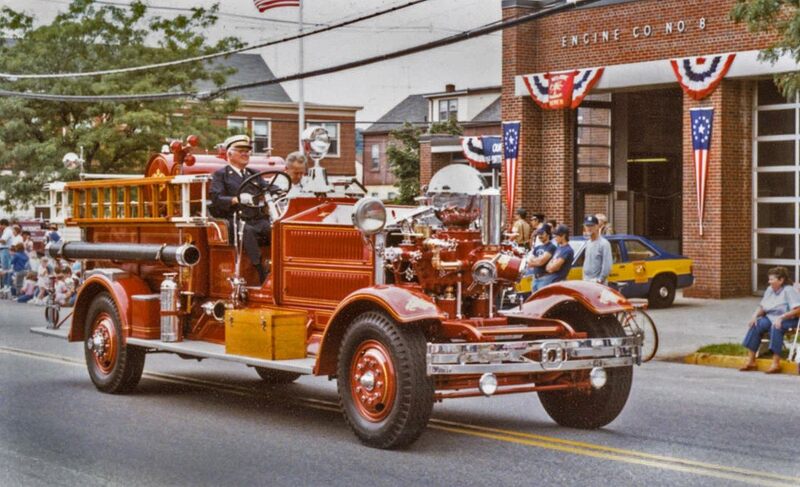 The apparatus was retired in January 1958 and was sold in June 1962 to the Passaic Valley Hose Company #2 of West Paterson (later renamed Woodland Park) NJ. 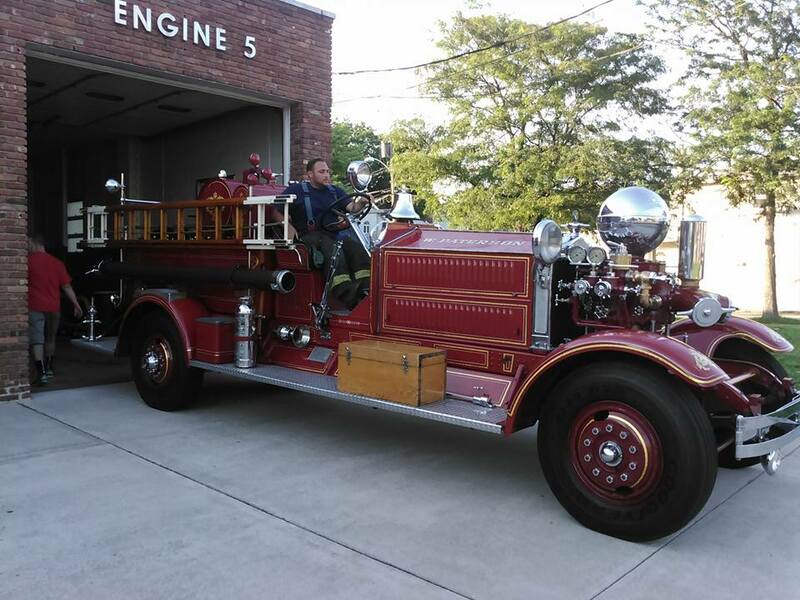 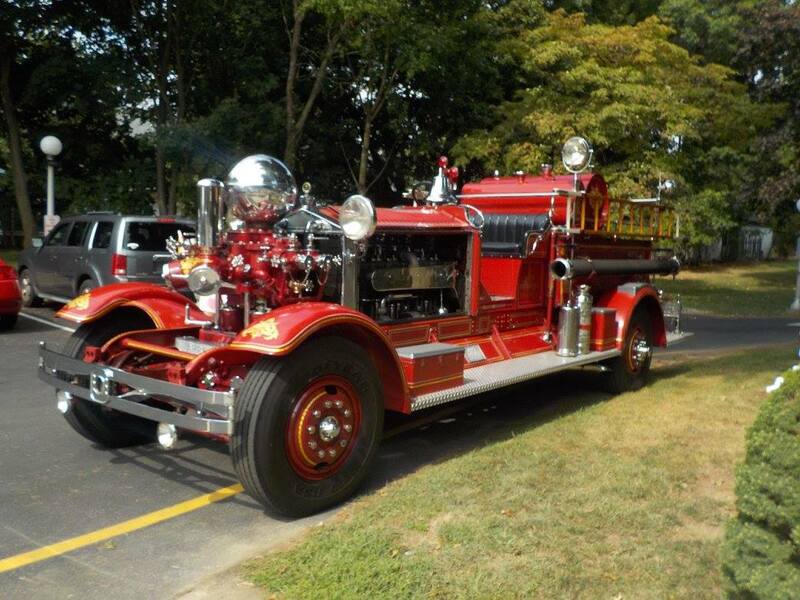 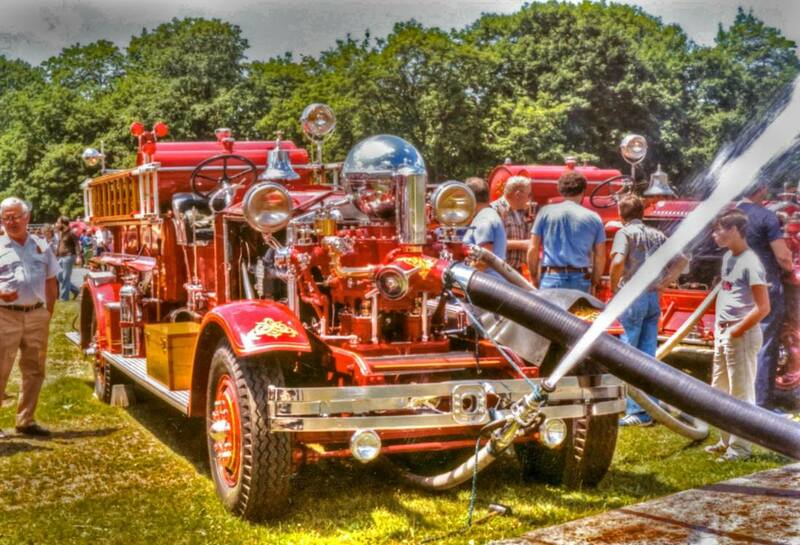 ​West Paterson restored the Fox and like #2312 it is frequently see at musters and parades. 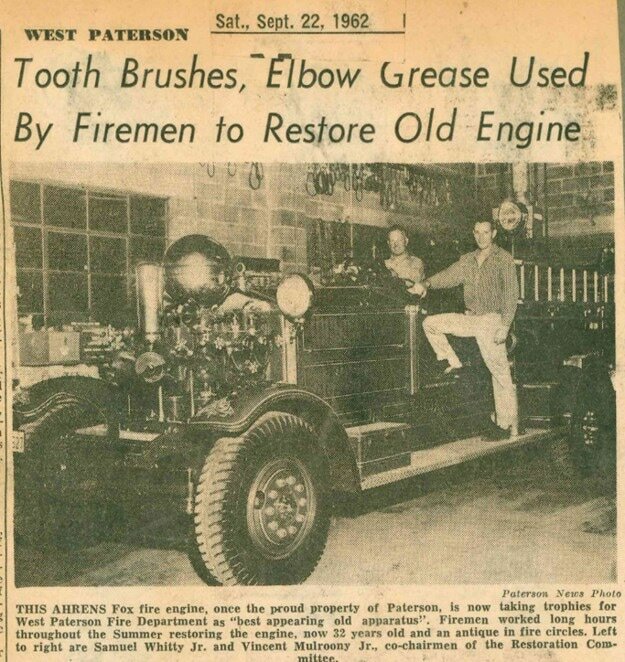 Instead of keeping the green linoleum on the running boards (present on all Paterson Foxes) they restored them using chrome. 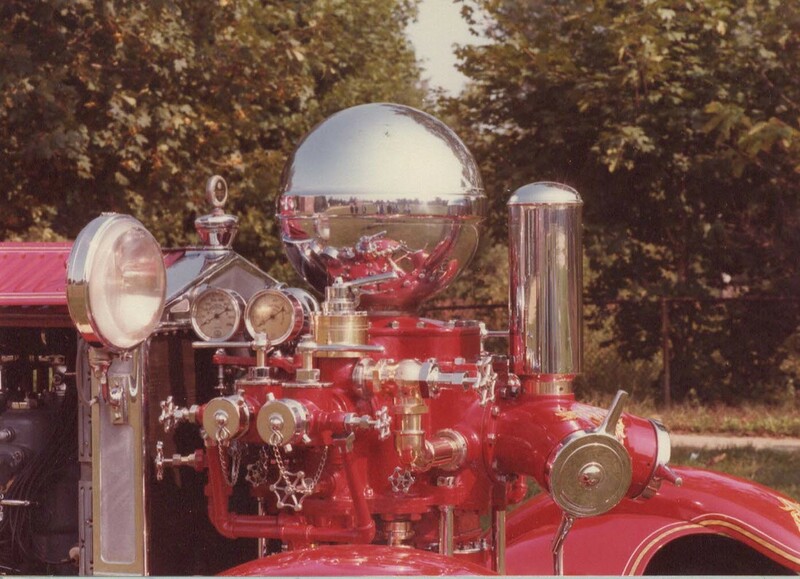 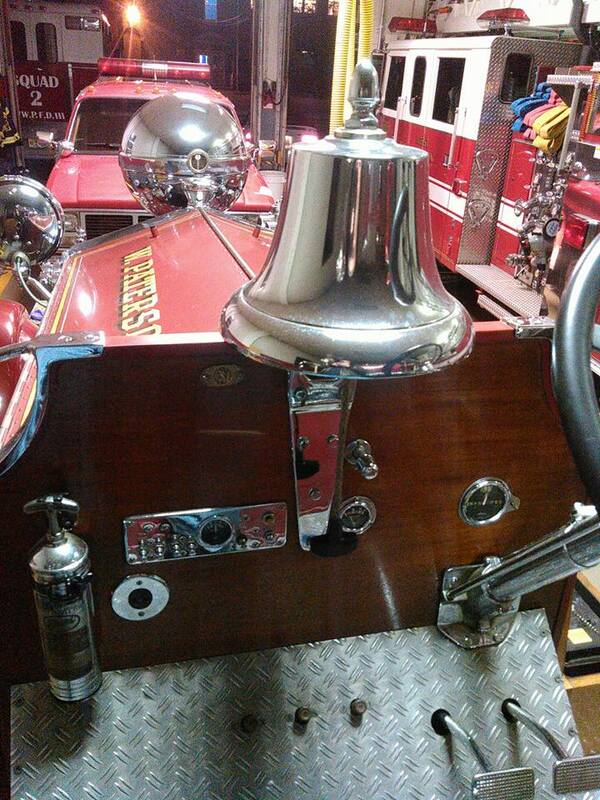 Much of the fancy gold leaf on fenders and the suction inlets was also not on the Paterson apparatus.